Cabin is a one-of-a-kind moving hotel that lets you fall asleep in San Francisco and wake up in Los Angeles (and vice versa). The boutique hotel on wheels is a great solution to exhausting early-morning flights, a luxury double-decker bus with a focus on style and comfort, with a service that aims to deliver travellers fit and rested at their destination. 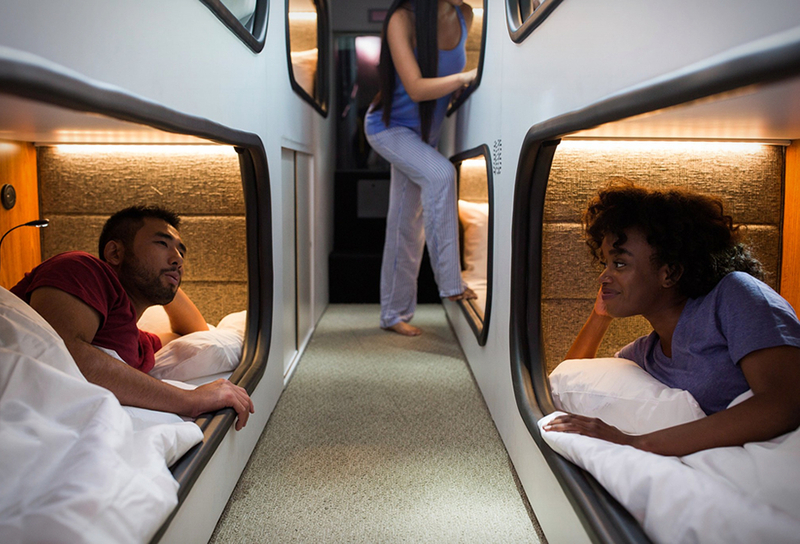 Each bus features private sleeping cabins and a communal lounge for socializing, a 24/7 on board attendant, bathrooms, free Wifi, personal electrical outlets and reading lights. Each sleeping pod also comes stocked with socks, a water bottle, ear plugs and melatonin-infused water. There is also morning espresso and evening tea. Tickets cost $115 and include two pieces of luggage per person. The company hopes to expand and offer more routes in the US in the future. Bota Country Masculina, Como Usar?